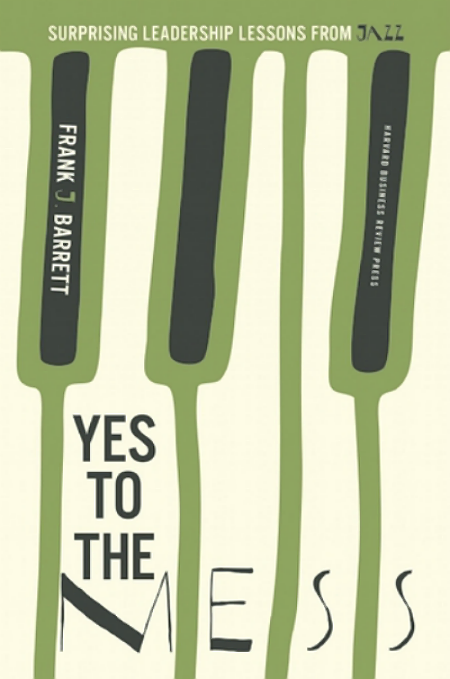 Frank Barrett, is an active jazz pianist leading trios and quartets as well as touring the United States, England, and Mexico with the Tommy Dorsey Orchestra. Frank Barrett, Ph.D. is an Associate Professor of Management and Organizational Behavior at the Naval Post Graduate school and has written and lectured on Social Constructionism, Appreciative Inquiry, organizational change, jazz improvisation, and organizational learning. How do you cope when faced with complexity and constant change at work? Here’s what the world’s best leaders and teams do: they improvise. They invent novel responses and take calculated risks without a scripted plan or a safety net that guarantees specific outcomes. They negotiate with each other as they proceed, and they don’t dwell on mistakes or stifle each other’s ideas. This is exactly what great jazz musicians do. 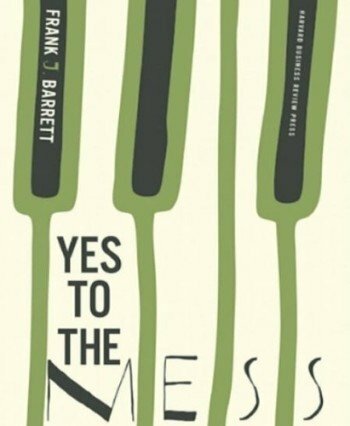 In this book Frank Barrett shows how this improvisational “jazz mind-set” and the skills that go along with it are essential for effective leadership today and draws insights and innovations of jazz greats such as Miles Davis and Sonny Rollins. Frank Barrett also taught and certified me in multiple levels of Appreciative Inquiry, along with his contemporary and colleague David Cooperrider. I have had the pleasure co-facilitating his Miles Davis and “Kind of Blue” leadership lessons and been a participant in other lectures.